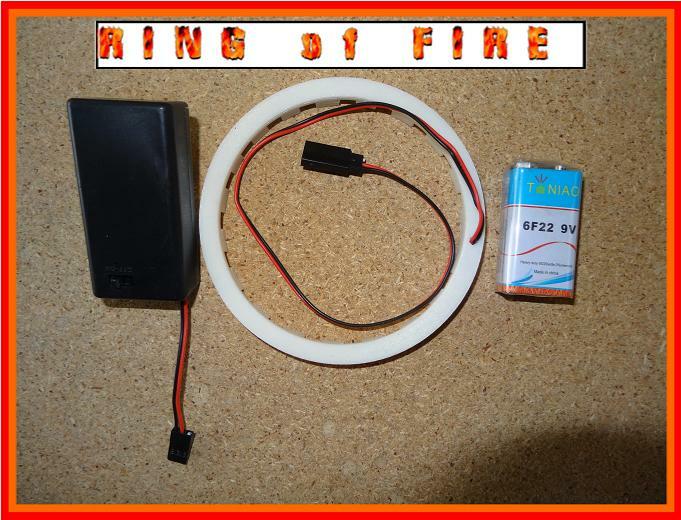 The RING of FIRE is a waterproof illuminator specifically designed to be easily added to a FissureMan Online WIDE-EYE Underwater Viewing Scope. 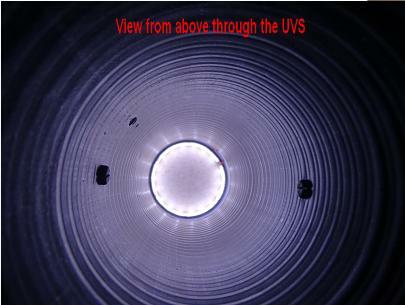 This device can be used with the UVS for viewing subjects under water in dimly lit or dark circumstances that otherwise would make the subject item impossible to clearly see or distinguish due to the low light conditions. > A full 360 degree ring of 36 white light LEDs pointed inwards toward the center of the viewing area . > A 9 volt battery box with mounting hook (battery is included). > Sufficient lead length to allow the battery box to be placed on the UVS upper lip or on either handle. When purchased, the RoF will be supplied with necessary instruction to allow the user to easily add or remove the device from a previously purchased WIDE-EYE or one purchased in combination with this product. While the product displayed is shown is fitted for the (S) model WIDE-EYE, it is available for all lengths of the WIDE-EYE UVS that are currently available. 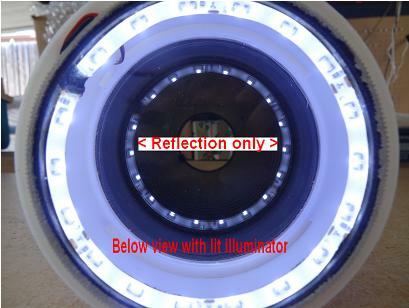 The standard 9 led illuminator is still offered on the WIDE-EYE site page pull down menus and may be purchased along with this illuminator, however, you probably do not need two illuminators. 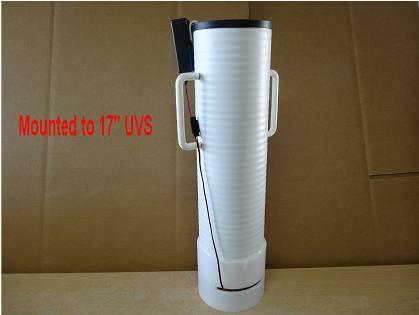 If you desire to purchase this device in conjunction with a WIDE-EYE UVS and do not want one of the standard 9 LED illuminators please choose one of the UVS products offered from the dropdown menu that does not include the 9 LED illuminator.